After weeks of speculation it has been confirmed that F1 racing legend David Coulthard will be the man behind the wheel for the 2019 Red Bull Cape Town Circuit event. Coulthard is synonymous with the glitz and glamour of F1 racing and will add this iconic experience to an illustrious career which includes 13 race wins and 62 podium finishes. Aston Martin Red Bull Racing Team Principal, Christian Horner, commented: "Formula One is a global sport, but with a finite number of countries on the racing calendar, it is down to our show car team to travel farther afield and share the speed and sound of our sport with as many fans as possible." Red Bull Racing has taken the thrills of F1 to far-flung cities like Hanoi, Tokyo and Mexico City and returns to South Africa to excite more fans in 2019. Horner said: "We received an incredibly warm welcome when we first took our show car to Cape Town back in 2011 and we are delighted to return this year, powering the car down Cape Town’s iconic Grand Parade on June 2nd. "South Africa has a great heritage in F1, stretching back to 1962, and we look forward to seeing fans, old and new, turn out in force to witness the spectacle." 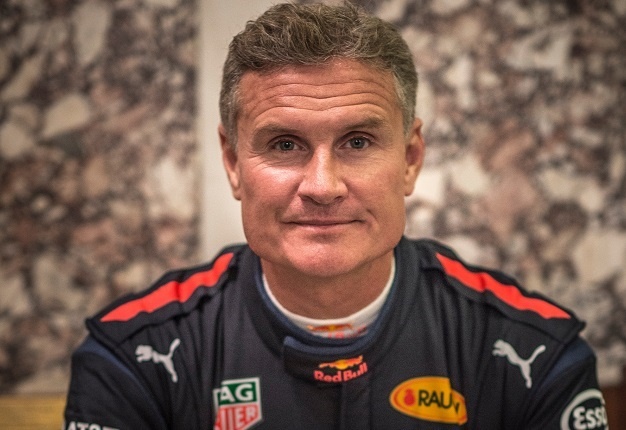 Speaking at the 2019 Bahrain Grand Prix about the Cape Town showcase, Coulthard also shared his excitement: "I’m super excited to be in Cape Town in June for the Red Bull Circuit event. I’ll be driving the F1 car, demonstrating the power, energy and excitement of what Grand Prix racing can bring. I haven’t been to South Africa since we were in Kyalami in 2011, so I’m delighted we’re bringing Formula One back to Cape Town. See you there, looking forward to it." Motoring enthusiasts will know that two of Coulthard’s Grand Prix wins came in the tight streets of Monte Carlo – the very place that DC delivered Red Bull Racing’s first podium finish in 2006. His smooth driving style is ideal for tight street circuits and he is known for performing well when in the spotlight of thousands of cheering fans, like when he performed doughnuts at night in front of Belfast City Hall in November last year. With the showpiece driver confirmed, Red Bull Cape Town Circuit on June 2 2019 is shaping up to be a scintillating spectacle of speed and precision for the whole family. The historic Grand Parade is the idyllic setting to bring together the power of F1 and the majesty of the Mother City.